Holy smokes! It looks like Batman may be gracing the big screen in less than two years. During the 25th Annual Goldman Sachs Communacopia Conference, Time Warner CEO Jeff Bewkes indicated that the film was about eighteen months out. Later, Jeff returned to the topic of Batman and addressed the much-anticipated solo film that Ben Affleck is behind. And, surprisingly, he dropped a timeline for the film. “Ben announced a Batman movie [that] he’s going to direct, star, write for - I think it’s a year and a half out. So, the strategy worked,” he said. Of course, there are fans who would like the wait time for Batman to be much shorter. The iconic hero is teasing a truly epic return back to the big screen. Earlier this summer, Ben Affleck stunned fans when he shared test-footage of Deathstroke for the film. And, not long after the video dropped, sources confirmed that Joe Manganiello would be playing the DC Comics mercenary. 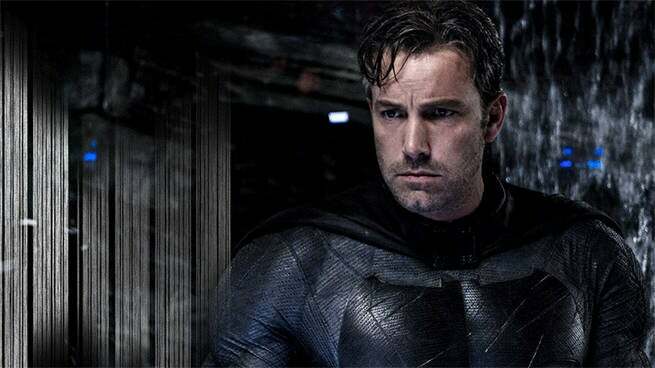 However, there are several films that will proceed Ben Affleck’s Batman project. Wonder Woman will drop next summer before Justice League follows later in the year. These two blockbusters are already hotly anticipated by fans all over the world, so they will give a chance for Warner Bros. to tweak the cinematic universe. The CEO said Warner Bros. recognizes there is still a disconnect between their DC Entertainment films and fans. As a general heading, Jeff said the issue came down to lightness. “The general heading would be that the DC comics characters and their loyal fanbase have a little more lightness in them than maybe what you’ve seen in those movies,” he said. However, Jeff did make it clear that the most recent DC Comics adaptations were very successful in meeting their intended goals. “These films were very successful in the strategic aims and the financial aims that we had for them. And the main thing was to launch DC and reinvigorate it which it did do with its fanbase - remind everybody of the powers of these characters,” he said. Wonder Woman will head into theaters on June 2, 2017. Justice League will hit theaters on November 17, 2017.